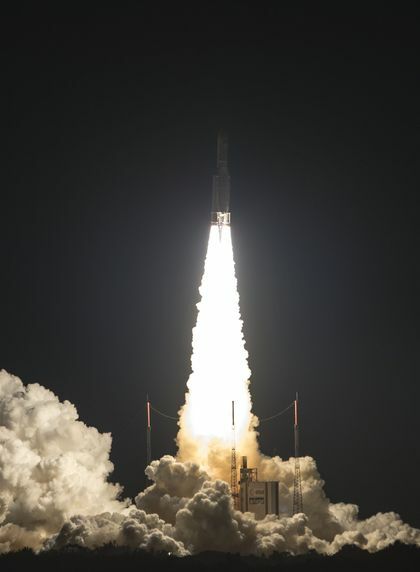 Europe’s Ariane 5 rocket returned to its French Guiana Launch Pad for liftoff Friday night with a pair of communications satellites for Luxembourg’s Intelsat and Japanese operator B-SAT, coming back from an aborted ignition earlier this month caused by a faulty electrical component on the launch vehicle. 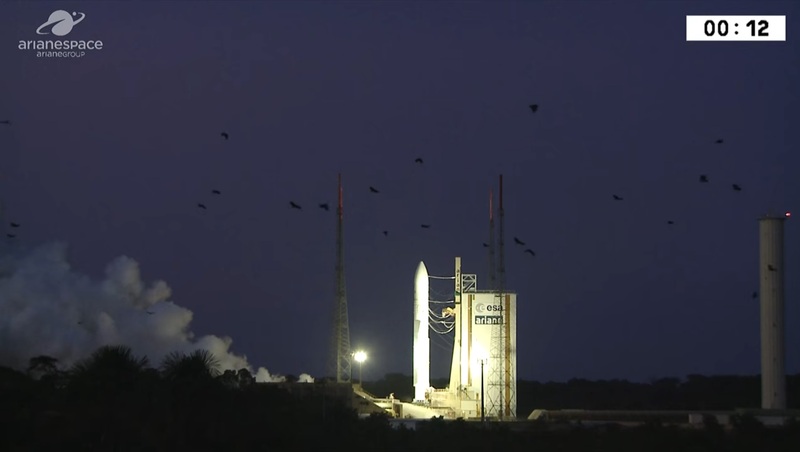 Following repairs and re-testing, Ariane 5 VA239 is now targeting liftoff during a 38-minute launch window opening at 21:47 UTC, 6:47 p.m. local time at the Guiana Space Center, just over 20 minutes after sunset. Ariane 5 L5100 stood fully fueled atop its ELA-3 launch pad on September 5 with the sun setting over the launch site just as the rocket’s countdown entered the crucial seven-minute synchronized sequence where computers take over control to put the vehicle through the last steps prior to liftoff. The 55-meter tall rocket was fully pressurized and fired up its Vulcain 2 main engine in anticipation of a twilight blastoff, but the rocket’s computers detected an anomaly in the last critical seconds leading up to liftoff and commanded the engine to be shut down. This was only the third instance of an on-pad ignition abort suffered by the Ariane 5 over its two-decade career. The first occurred in December 2002 leading up to the inaugural mission of the Ariane 5 ECA which would eventually fail in flight due to a leak in coolant pipes within the engine cooling system; and the second pad abort was in 2011 on the VA201 mission which was delayed by 23 days after the engine failed a gimbal check during the initial attempt. Following the controlled shutdown of the Vulcain 2 engine on September 5th, Arianespace launch controllers went through steps to back out of the countdown and safe the vehicle, followed by de-tanking on the first stage. 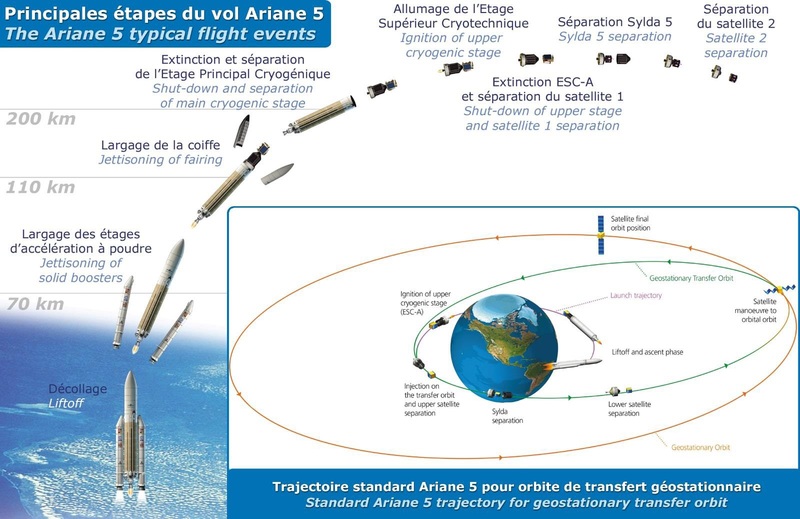 As a result of Ariane’s design, the cryogenic feed arms to the second stage retracted at T-5 seconds and the procedure on the second stage is to allow the ~14,900 kg of cryogenics stored in its tanks to boil-off through the vent lines. One day after the last-second abort, preliminary analysis of its circumstances was complete and had implicated an electrical component on one of the two Solid Rocket Boosters (EAPs) that had suffered an anomaly. Arianespace said the onboard computer functioned as designed when it cut the ignition sequence off as it is programmed to only commit the launcher to flight when all systems are checked out to be 100% functional. 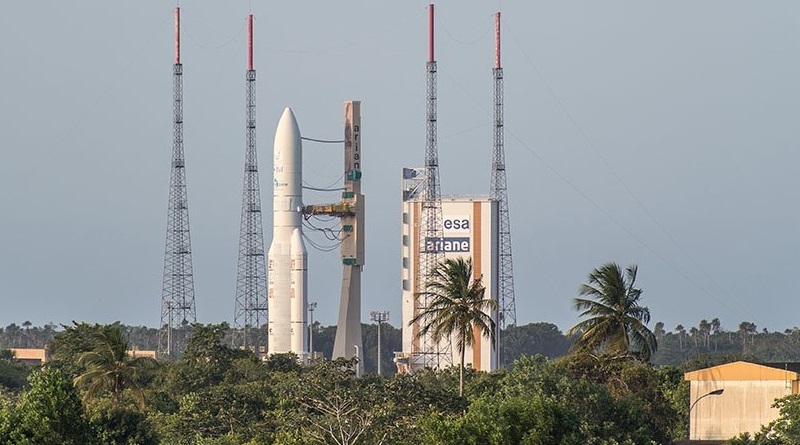 In-depth analysis continued as Ariane 5 returned to its Final Assembly Building on September 7 to uncover any effects of the anomaly to work out the scope of corrective action. 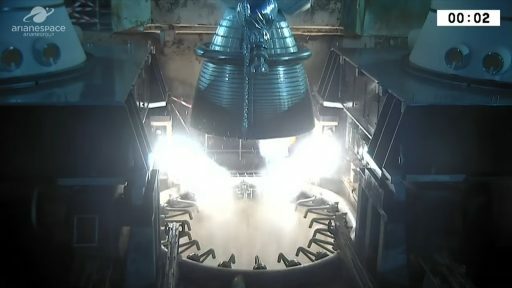 Over the course of the rocket’s stay at the Final Assembly Building, engineers completed work on the Vulcain 2 engine that needed detailed inspection after being fired as well as replacement of pyrotechnic charges responsible for its two-stage start-up (gas generator ignition & combustion chamber ignition). The faulty electrical EAP component was changed out by September 21 and associated re-tests verified full functionality of the system, allowing Arianespace to move forward and complete re-arming of the launcher for a Thursday rollout to the launch pad. 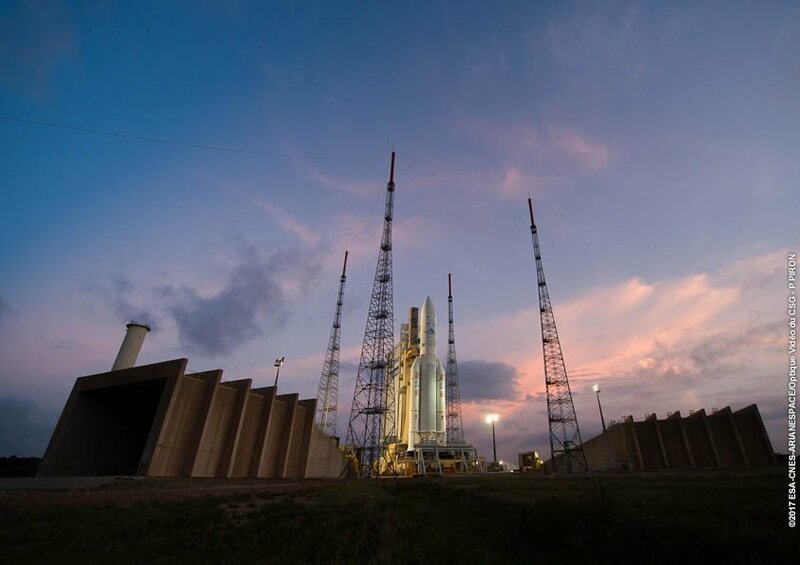 Ariane 5 completed a late afternoon rollout on Thursday, emerging from the Final Assembly Building for the second time and finishing the three-Kilometer trip to the ELA-3 site around sunset. 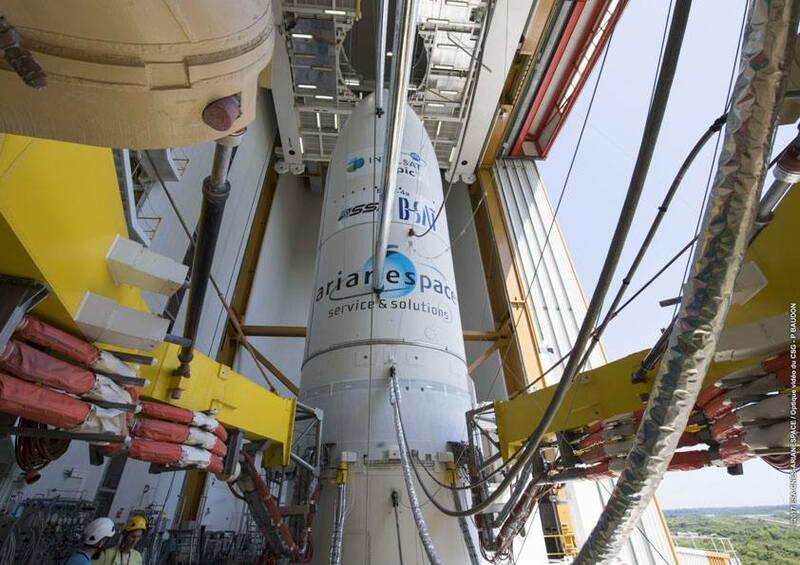 Under Ariane’s composite fairing, the two payloads of the VA239 mission were kept safe throughout the delay – Intelsat 37e sitting in the upper payload slot atop the Sylda adapter and BSat-4a in the lower berth on the second stage. Intelsat 37e weighs in at 6,438 Kilograms and will join the company’s Epic-NG satellite fleet, designed to deliver flexible communications coverage on a global scale through the use of the latest advances in satellite technology such as multi-band communications packages, frequency re-use and different beam widths to cater to services requiring broad coverage, high-power and/or focused beams. 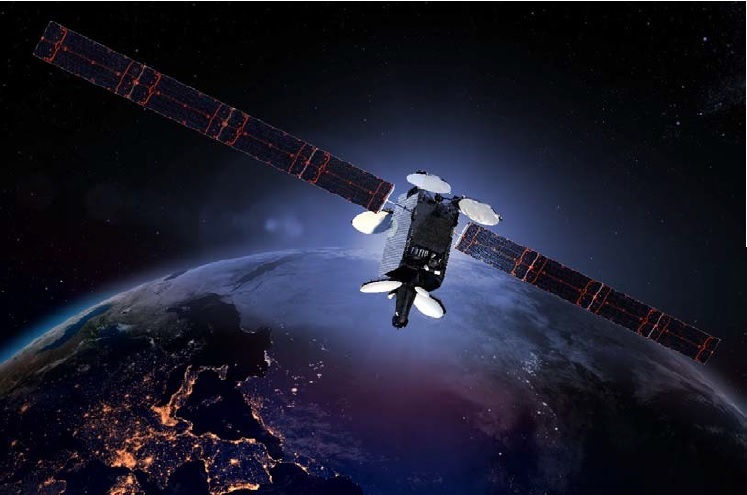 Intelsat 37e – the fifth Epic-NG satellite to be deployed – hosts ninety 36-MHz-equivalent C-Band transponders covering Europe, Africa, the Atlantic, South America and portions of the Eastern U.S./Canada; a whopping 275 36-MHz equivalent Ku-Band units create 56 fixed-Ku zones plus a focused beam over Algeria and a steerable beam that can direct coverage where it is needed; and a single Ka-Band spot beam offers data-intensive services with a total throughput of 45 Gbit/s across the satellite. Intelsat 37e replaces the 16-year old Intelsat 901 satellite at a position of 18°W over the Atlantic Ocean. 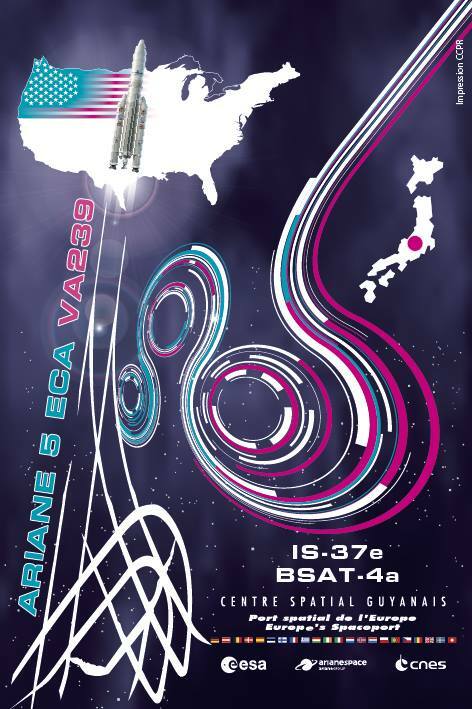 The 3,520-Kilogram BSat-4a was built by Space Systems Loral as a broadcasting-only satellite for Japanese telecommunications provider B-SAT. 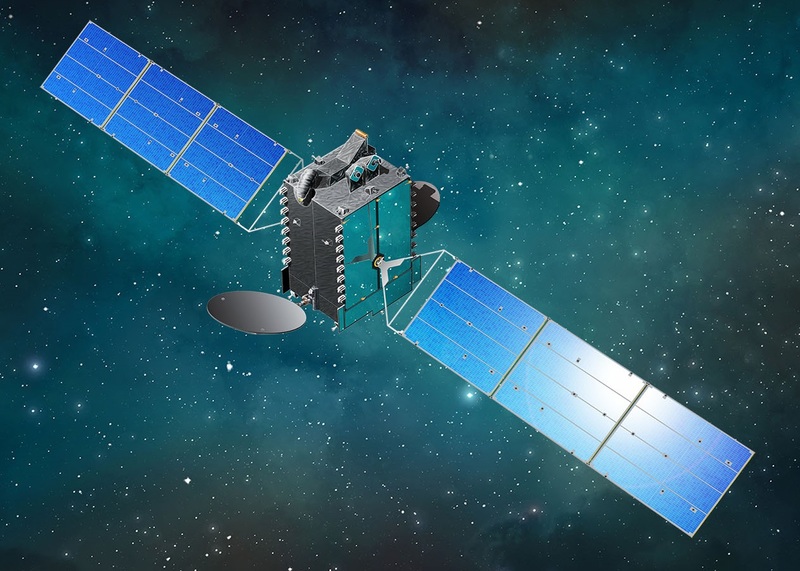 It inaugurates the company’s fourth generation of BSat spacecraft that will initially provide expansion coverage and eventually replace the company’s third generation satellites with a larger number of transponders to deal with growing demands for TV broadcasting in HD and Ultra-HD. Outfitted with 24 Ku-Band transponders, BSat-4a is designed for Direct-to-Home broadcasting over Japan in standard and high definition as well as 4K and advanced 8K resolution. The satellite was commissioned for a 2017 liftoff to provide the maximum possible margin to the 2020 Tokyo Olympics that are expected to be broadcast in 4K and 8K resolution through the satellite. Destined for an orbital position of 110° East, BSat-4a will eventually take over from B-SAT’s first third generation satellite that launched in 2007, though still has five years left in its planned service life. Combined with the adapters and the Sylda dual-payload dispenser, the two satellites create a total payload upmass of 10,838 Kilograms – a close second to Ariane 5’s heaviest GTO delivery earlier this year with a payload of 10,865 Kilograms. Based on the nominal mission design, the two satellites will depart their dispensers by T+47 minutes and 15 seconds, targeting a highly elliptical orbit peaking over 35,700 Kilometers in altitude. 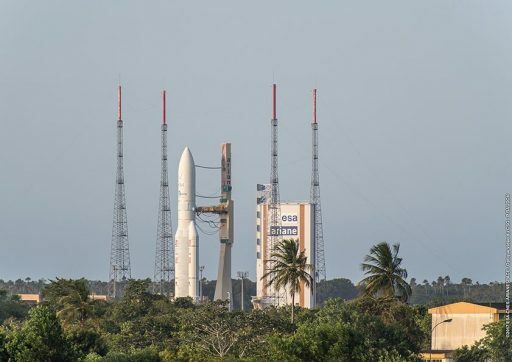 Following its Thursday afternoon rollout to the pad, Ariane 5’s Launch Table was connected to commodity lines and teams completed the charging of high-pressure Helium vessels that supply pressurant gas to the launcher’s tanks during the ascent mission. Countdown operations are initiated at T-11 hours and 23 minutes – 10:24 UTC on Friday with power-up of the launch vehicle expected at 11:14 to begin a detailed checkout campaign that sets the stage for tanking. When clocks hit zero some twenty minutes after sunset, the Vulcain 2 engine will ignite to soar to a launch thrust of 960 Kilonewtons with seven seconds of engine monitoring before the twin Solid Rocket Boosters are ignited – marking the point of no return. Intelsat 37e will depart the Ariane 5 rocket 29 minutes and 50 seconds into the mission with the second stage swiftly swinging around to set up for the jettisoning of the Sylda adapter just two minutes later. BSat-4 – riding shotgun on Friday – will remain attached for another 15 minutes while the second stage maneuvers into the proper position for the release of the smaller of the two passengers at just over T+47 minutes to conclude the 95th flight of the Ariane 5 rocket.